Want to know how Python is used for plotting and data visualization? Interested in learning one of the most commonly used data visualization libraries in Python? If so, you’re in the right place. We’ll also see what different functions and modules are available in matplotlib. Here, we’ll explore how to create just line plots and histograms with matplotlib. In addition to plotting graphs, we’ll also see how to change the default size of graphs and how to add labels, titles, and legends to their axes. If you’re using the Anaconda distribution of Python, you can also use the commands mentioned in the official Anaconda documentation to install the matplotlib library. Once we’ve installed matplotlib, the next step is to import the required libraries. The pyplot library of matplotlib is used to plot different types of graphs. We’ll import it along with the numpy library. Since I’m using Jupyter Notebook to execute the scripts in this article, I have to execute the statement %matplotlib inline, which tells the IDE to plot the graphs within its interface. If you’re not using an IDE like this, you don’t need to execute this statement. Another important thing to note is that we renamed pyplot as plt when importing, since it’s easier to type and is a standard nickname for pyplot. From now on in this article, we’ll continue using this nickname. Now, we have everything we need to start plotting different types of matplotlib graphs. In the script above, we used the rcParams attribute of the plt module and pass in “figure.figsize” as a parameter, which returns a list containing the default width and height of the plot. The first index contains the width, and the second index contains height. Both values are printed to the screen. You’ll see 6 and 4 in the output, which means that the default width of the plot is 6 inches and the default height is 4 inches. In the script above, we changed the width and height of the plot to 8 and 6 inches, respectively. The line plot is the simplest plot in the matplotlib library; it shows the relationship between the values on the x- and y-axes in the form of a curve. In the script above, we have six values in the list for the x-axis. On the y-axis, we have the squares of the x values. This means that the line plot will display the square function, as shown in the output. Note that the default plot color for matplotlib graphs is blue. It’s important to mention that you need to call the show function of the plt module if you’re using an editor other than Jupyter Notebook. In Jupyter, the show function is optional. In the above script, we also made use of the power function of the numpy library to calculate the cube of each element in the x array. In the output, you’ll see the line for the cube function displayed in purple, since we specified 'rebeccapurple' as the third parameter of the plot function. Note for beginners: A function in programming performs specific operations. To pass data to a function, we use arguments. The function then uses the arguments passed to it. For instance, in the plot function, the first parameter is the data to be plotted on the x axis, the second parameter is the data to be plotted on the y axis, and the third parameter is the color code. 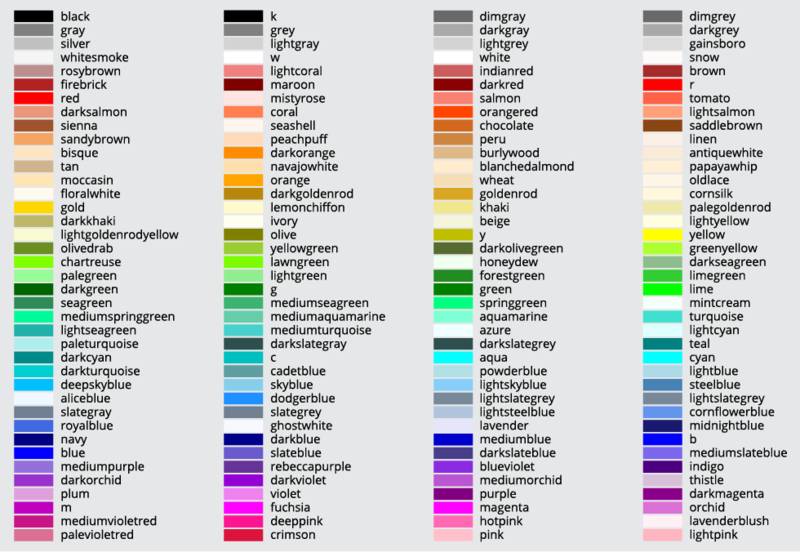 A color code of ‘rebeccapurple’ corresponds to a shade of purple. The codes to generate different types of markers in matplotlib can be found here. Here, we looked at a brief introduction to plotting data in Python with simple graphs like line plots and histograms, along with their variants. In the second part of this series, you’ll learn how to create bar plots, stack plots, scatter plots, and pie plots. Want to learn more about Python for data science? Be sure to check out our Introduction to Python for Data Science online course for a beginner’s guide to Python programming.